Flying Lotus is now six studio albums deep–one of them was his Captain Murphy project Duality–and the first thing that comes to mind is where You’re Dead! stacks up against the rest. Almost incomparable are Los Angeles and Cosmogramma, near flawless works of art that are drowned in reckless counts of harp strings, manic synthetic rushes and liberating progressions of artsy jazz-hop. Somewhere swelling underneath these works stands You’re Dead!, perhaps FlyLo’s most exotic work, and definitely the most guest-heavy. You’re Dead!, like all of Flying Lotus’ records, paints this impossible picture of hip-hop, jazz, trip-hop, rock, electro, and blues intertwining in a cauldron of goodness. It’s a steady improvement over Until the Quiet Comes, with full-fledged themes constructed over the entire piece, and throughout you’ll get hints of Cosmogramma, Los Angeles and 1983 hiding like Waldo on the beach. If you want an “Album of the Year” candidate, look no further. Sometimes I think about dying, or rather, if anything happens after death. I don’t necessarily mean in a religious sense, although that’s part of it. Generally, it’s more about the mind. Where do people’s thoughts go? Do we actually just cease to exist? Surely there must be something following what we, in society, refer to as death. 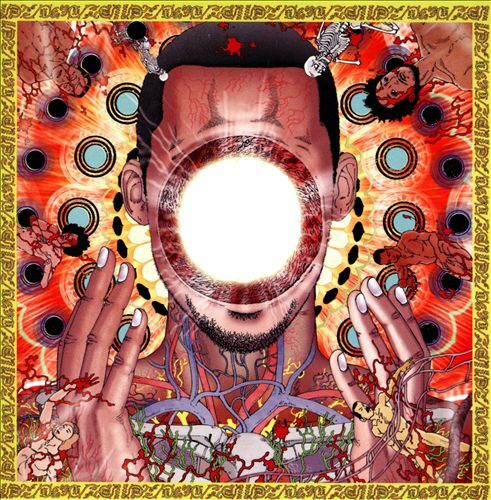 Considering this, Flying Lotus’ new record, You’re Dead!, may just be the musical manifestation to some of these ideas. Released on October 7th, 2014, You’re Dead! is a frantic, yet clearly intentional, compilation of hard-hitting beats, jazz melodies and rhymes that is driven by these thoughts. In some ways, the music is much like the Lotus we all know and love. However, as opposed to some of his other albums, which are packed to the brim with off-kilter percussion and spaced out synth, You’re Dead! is propelled by a very specific concept. The beginning of the album has the feel of a long intro as the first four tracks, “Theme,” “Tesla,” “Cold Dead” and “Fkn Dead,” flow into each other, picking up speed and intensity with heavy guitars, bright keyboard notes and vivid saxophone. Just as we reach what seems to be a climax of sorts, piano cuts in and “Never Catch Me” begins. Easily one of the best songs of 2014, “Never Catch Me” features Kendrick Lamar, whose words add to the concept. Featuring Snoop Dogg on “Dead Man’s Tetris” and Flying Lotus rapping as Captain Murphy, the lyrics on these tracks push the theme forward. However, as one should expect from a Flying Lotus record, the music dominates the canvas in the best way. With help from the piano man himself, Herbie Hancock, Thundercat on bass and soundtrack specialist Ennio Morricone, You’re Dead! is an on-point combination of more aggressive styles of jazz that fit perfectly with hand claps, syncopated kick drums, fast-moving horn and bass lines. With his sixth studio album, Flying Lotus has delivered a wonderfully furious combination of musical styles that moves together seamlessly, creating a journey through space, time and what the afterlife might just sound like. Tagged 1983, Cosmogramma, culture, flying lotus, Hip hop, jazz, kendrick lamar, los angeles, Until the Quiet Comes, You're Dead!